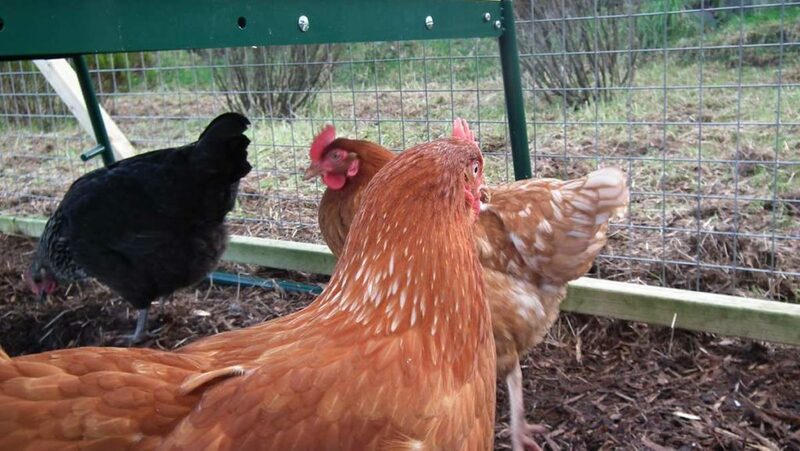 Home › Keeping Chickens › Questions › Can chickens see colour & can chickens see in the dark? By strange coincidence I had two emails asking about chicken’s vision on the same day. The first simply wanted to know if chickens see colour or have a black and white world. 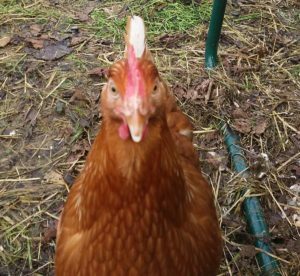 The second writer asked if chickens can see at night in the dark. The answer is not what you might expect. Have you ever noticed how chickens can be a bit like the velociraptors in Jurassic Park? If you’ve ever seen them with a mouse in the run you’ll know what I mean. 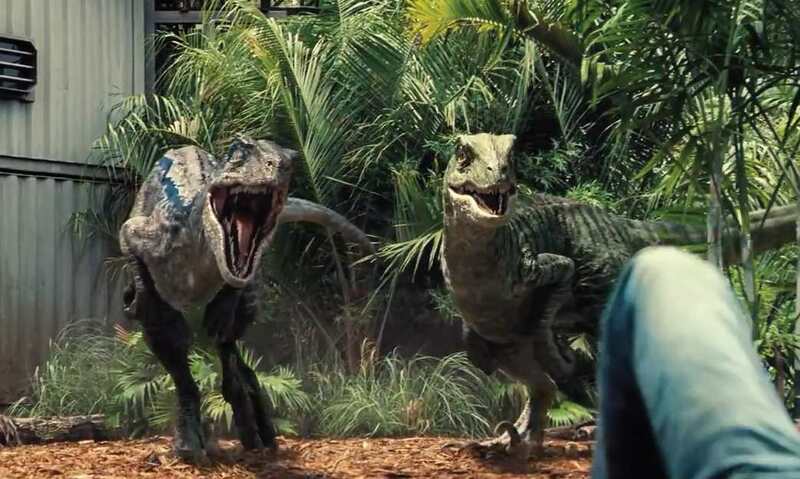 Well the reason is that birds are descended from the dinosaurs. When there was a mass extinction that wiped out nearly all the dinosaurs the mammals were reduced to just a few species of nocturnal insect-hunters that probably lived in burrows to hide away for the day. Since then the mammals have evolved as have the dinosaurs – in many ways the same but with some important differences. A bit like petrol and diesel cars. Although it’s not obvious our eyes and the chicken’s eyes are very different under the bonnet. Our eyes enable us to see colours and at night in low light we shift into greyscale mode. This night vision is useful for hunting at night and watching out for threats like predators. Our colour vision is limited to a spectrum from violet to dark red. Some mammals, like cats, can see beyond violet into the ultra violet. We can’t see UV (sometimes called black light) because our cornea blocks it but cats and rodents can see UV. This means that they can see urine splashes and trails. Useful for cats hunting rats (rodents continually urinate and leave scent / visual trails) and rats looking for love! 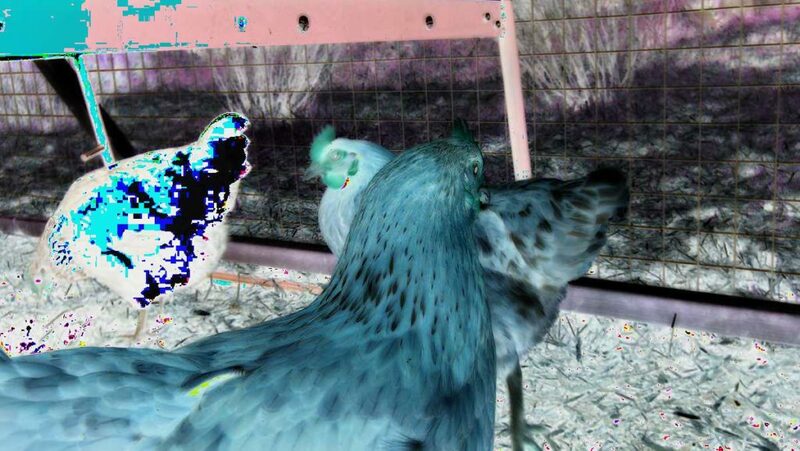 The chicken can also see into the ultraviolet but the differences don’t stop there. Chicken (and other birds) eyes are actually far more sophisticated than those of mammals. They have cones to detect colour as we do but they have enhancements. They also have minute drops of coloured oil that filter out different wavelengths – yellow, blue and red. This actually gives the bird enhanced contrast, brightness and sensitivity. As if that wasn’t enough, their eyes are more sensitive to movement than our eyes. They have a structure called a double cone for that as part of their retina. The last advantage the chicken’s eye has over our eyes is that we only have one fovea but the chicken has two. The fovea is the spot in our eye that the lens focusses on and is most sensitive. Your hen has one for long distance and another for close ups! You might notice than when they’re focussing on something near, they move their heads. That’s because they’re using their close-up vision. Now before you develop an inferiority complex, our vision is superior in one way. We see better in the dark. We’ve a higher percentage of rods to cones in our eyes and bigger eyes to collect more light. 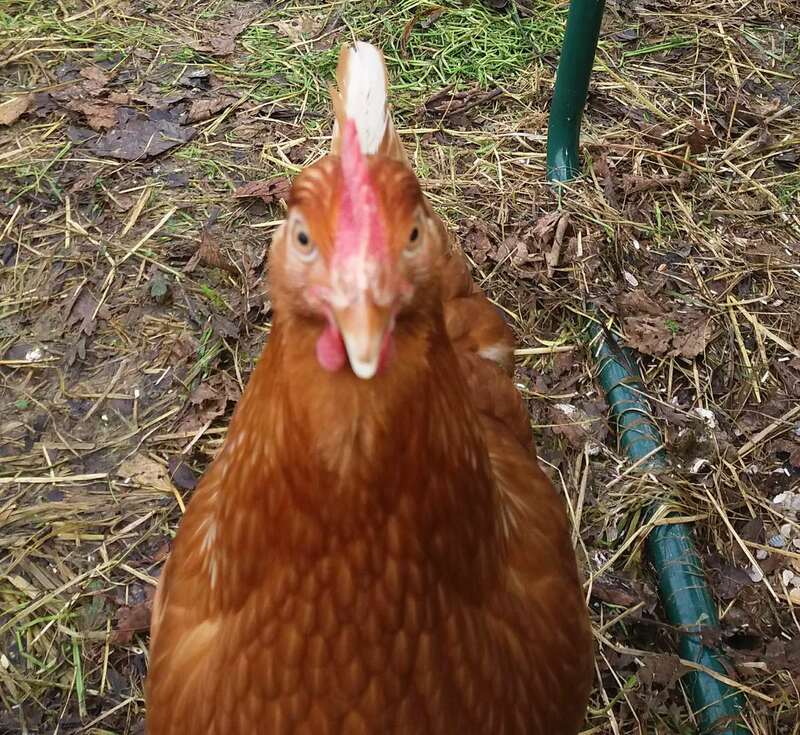 Perhaps this is how a chicken sees things to the front and close up. At the other end of the spectrum from ultraviolet is infra-red which is basically heat radiation. Infrared is used by anti-aircraft missiles to home in on the hot engines. 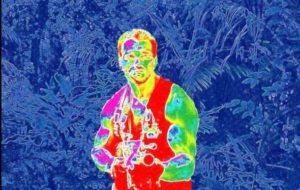 Neither birds nor mammals can ‘see’ in infra-red but snakes have sensitive pits on their heads that help them find warm blooded creatures by detecting infra red heat radiation. 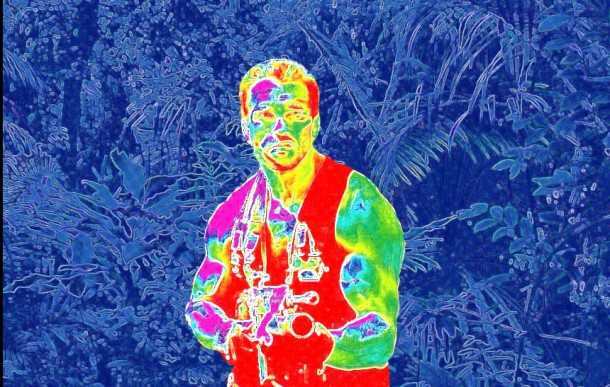 Famously the alien in the film Predator could see in different wavelengths but primarily in infra-red. What does the world look like to a chicken? Basically this is something we can’t know. Possibly in the future people may have artificial eyes that sense a wider spectrum than natural eyes but that’s science fiction. It’s probable that the world is a richer place visually to your hen. Because of her wide spectrum, things that appear identical to us may be very different to the hen. The sky most likely looks very different to a chicken with brightness showing the sun’s position even on a cloudy day. She may well see rodent urine trails and certainly would pick up something scuttling through the undergrowth better then us. 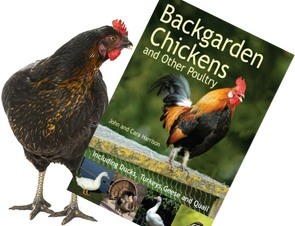 The differences don’t stop with colours – chickens have a wider field of vision than we do. What they see is a bit like a wide angle camera lens but they have a narrower central focus. Their eyes don’t move as freely as ours do which is why they move their whole head to see better. 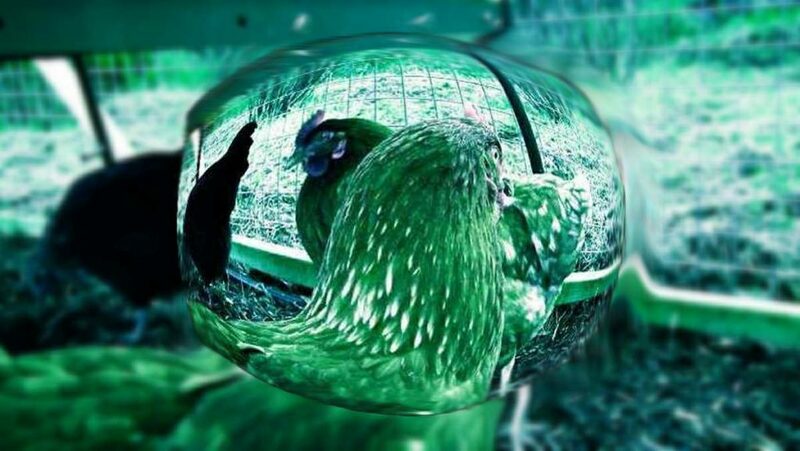 Chickens can see directly ahead – usually a trait of predators so they can use stereoscopic vision to judge distance when hunting. But their eyes are further around their head than our eyes. That’s usually a trait of herbivores to give them warning of carnivores sneaking up on them. The chicken’s brain will integrate these two views so they have warning of predators sneaking up on them. The only area they won’t at least detect movement in is directly behind their head. Do I need a licence or to register if I keep poultry? Hens Egg Eating – My hens are eating their eggs!